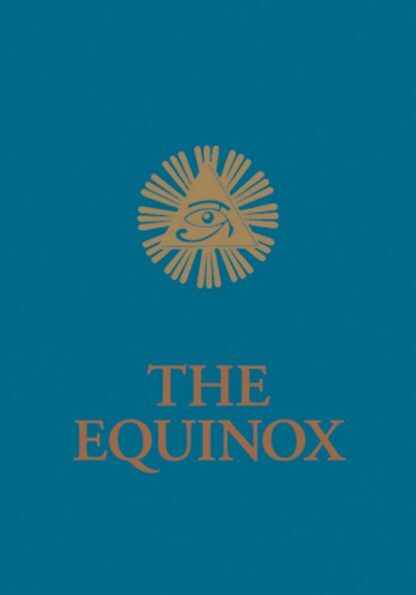 First published in Detroit in 1919, the legendary Blue Equinox was Crowley's first attempt to publicize the principles and aims of the magical secret society Ordo Templi Orientis (O.T.O.) and its allied order the A.'.A.'. In it, Crowley laid out the esoteric, social, ethical, and philosophical ideas that he believed provided the framework for a new ethics and the liberated morality of the future. Upon publication, the book was threatened with suppression by the authorities of the day. Many of the papers in the Blue Equinox anticipated social liberties we tend to take for granted today.